The Vice-Presidency for Private Sector, Infrastructure and Industrialization is central to the Bank’s mission of developing the private sector, improving infrastructure and accelerating industrialization. 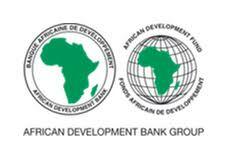 The complex main functions are to (i) strengthen the enabling environment for private sector [and financial sector] development conducive to inclusive growth and sustainable development, (ii) support the development of reliable and sustainable inf, including cities and urban development, and (iii) place renewed emphasis on industrial and trade performance in support of structural transformation across Africa. The Complex leverages knowledge, co-financing, and partnerships to attract private capital and work with governments on delivering the Bank’s development agenda. Building Bank’s internal Capacity in project financial and economic modelling. 4. Ensure the Integration of the IT platform for modelling within the Bank’s Corporate IT Infrastructure in coordination with IT department. 7. Lead the organization of trainings on modelling in coordination with the HR department. 10. Lead the work to ensure that lessons learned from financial and economic Modelling are shared. 11. Handel periodic reports to the Management on Project modelling activities. 12. Ensure continuity of a centralized coordination of Modelling function. 1. Hold at least a Master’s degree (or its university equivalent) in Finance or related field and/or Computer science for Business. 3. Have a minimum of seven (07) years of relevant professional experience in the Bank or a similar institution with extensive experience in IT systems and also in coordination of private sector transactions. 7. Deep understanding and familiarity with the Bank’s procedures. 15. Competence in the use of standard Microsoft Office Suite applications; Knowledge of SAP is advantageous.